Tatyana Swanson studied violin at Moscow Prokofiev’s School of Music and undergone viola instructions with Galya Dubrova at Moscow Conservatory. She has also studied viola under Y. Schutten and X. Montiel at Carnegie Mellon University in Pittsburgh, as well as with several members of Pittsburgh Symphony Orchestra. She has performed with various groups and ensembles, such as Erie Philharmonic and Pops Orchestra, Traverse City Orchestra, Wheeling and McKeesport Symphonies, Johnstown and Westmoreland Orchestras, among others. Ms. Swanson was a string coach of the Pittsburgh Youth Phoenix Orchestra, string coach at the yearly Summer Chamber Music String Camp in the North Hills area of Pittsburgh, and a string coach at the Interlochen Summer Academy. In the summer of 2001, she was a participant in the Chamber Music String Workshop in Vermont. Currently, she holds a private violin/viola teaching studio at the Musik Innovations School of Music with over thirty students in addition to numerous performing engagements throughout Pittsburgh with regional orchestras. Outside of music world, Ms. Swanson is a rider coach for the Pennsylvania Motorcycle Safety Program. She also holds a black belt in a Korean Martial Arts, Tang Soo Do. Douglas Lischner received his Bachelor of Music Performance under the instruction of Mimi Zweig and Joseph DePasquale at Indiana University in Bloomington, Indiana and received his Master of Viola Performance with Atar Arad at Carnegie Mellon University. He has performed as violinist or violist in numerous orchestras in the United States as well as principal and section viola in the Spoleto Festival. Presently, Mr. Lischner is on the faculty of the Mt. Lebanon School District strings department and maintains a private studio in addition to performing in the Pittsburgh area. Jami Bale performs throughout the region as both a violinist and a flutist. Formerly a native of Kansas City, Kansas, Ms. Bale is currently a member of the Pittsburgh Opera Orchestra, the Wheeling Symphony of West Virginia, and several other area orchestras. She has been a faculty member at Duquesne University and The City Music Center. Ms. Bale holds a Bachelor’s and two Masters’ Degrees from the Conservatory at the University of Missouri – Kansas City, and an Artist’s Diploma from Duquesne University. 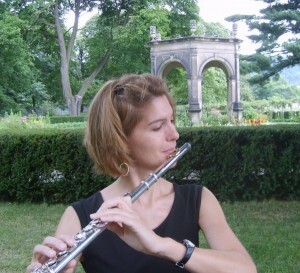 In the summer of 1999 she was chosen to perform at the Lake Placid Flute Workshop. In recent years, Ms. Bale has returned to the Midwest as both a recitalist and as a performer in the Sunflower Music Festival of Topeka. 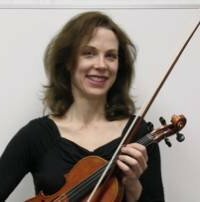 Ms. Bale is a also a private violin instructor at the Musik Innovations School of Music, as well as a coach at the Summer Chamber Music String Camp in the North Hills area of Pittsburgh. 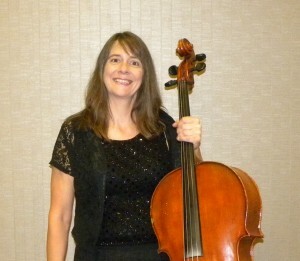 Kathy Painter earned her Minor in Violin Performance from Carnegie Mellon University. She studied with Eugene Phillips and played under the baton of Werner Torkanowsky and Keith Lockhart, performing with the Carnegie Mellon orchestra at Carnegie Music Hall in New York City. Recently, Kathy has participated in several workshops with Sherry Kloss, former student of Jascha Heifetz. She has performed with local community orchestras and in chamber groups for fundraisers and other community events. Erin Snyder has been teaching and performing in the Pittsburgh area since 1984. As a cello performance major at Carnegie-Mellon University and principal cellist in the school’s orchestra, she studied under Anne Martindale-Williams of the Pittsburgh Symphony Orchestra and George Sopkin of the Beaux Arts Trio. She also studied with Joel Moershel of the Boston Symphony Orchestra during a summer at the Tangelwood Music Center. She has performed throughout theUnited States and Europe, including Carnegie Hall in New York City. For the last eight years, Snyder has been teaching cello privately at Musik Innovations and playing with orchestral and chamber groups throughout the Pittsburgh and the surrounding area. She has extensive recording and playing experience in non-classical genres, as well. She played electric cello in the jazz quintet Watershed from 1990 to 2000, has played upright bass in numerous bluegrass, rockabilly and country bands since 1993, played electric bass locally and nationally since 1986 (including a recent appearance at the Grand Ole Opry’s Opryland Plaza in Nashville, TN) and recently toured the United States as the fiddler in a country-rock band. 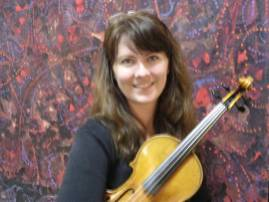 Sarah Breckenridge earned her Bachelor of Music degree in Violin Performance from the Pennsylvania State University and an Artist Diploma in Violin Performance from Duquesne University. She continued her violin studies with Albert Tan (member of the Pittsburgh Symphony) and Burton Kaplan (Professor of violin at the Manhattan School of Music). Sarah performs regularly with the Wheeling and Youngstown Symphony Orchestras and maintains a private violin studio with 20 students. Robin Hasenpflug has established her performance career on both sides of the Atlantic. 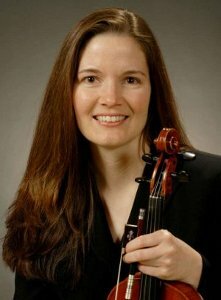 In addition to her position in the Wisconsin Chamber Orchestra, she is presently a member of the Illinois Philharmonic and the Northwest Indiana. Robin also found time to perform with her clarinet trio, “Trio Brioso,” that had its German debut performance in Kauserslautern. Robin also continued her education while performing abroad, studying privately with Hans Christian Schweiker, cello soloist and professor at the Musikhochschule Koln. She earned her Bachelor of Music degree from the Baldwin-Wallace Conservatory in 1992 after studying with renowned soloist Regina Mushabac. She earned a Master of Music degree from the University of Cincinnati Conservatory in 1994 following an intense course of study with Lee Fiser of the La Salle String Quartet. After earning her degrees, Robin was selected to be a substitute member of several prestigious orchestras, including the Columbus Symphony, Cincinnati Ballet Orchestra, and West Virginia Symphony. 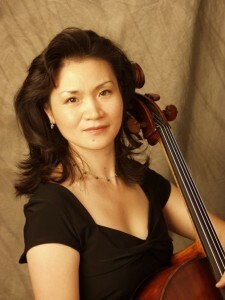 While performing regularly, she continued her professional development by studying with Eric Kim, principal cellist of the Cincinnati Symphony. Katya Janpoladyan received her Bachelor of Music and Artist Diploma from the Yerevan State Conservatory, and her Master of Music degree from Cincinnati College-Conservatory of Music. She is a former cellist of the State Piano Trio “Shell” of Armenia and the Bauer Quartet and was the 2001 winner of the Pierre Lantiere International Chamber Music Competition. She has collaborated with many living composers and presented concerts throughout Europe and the United States both in chamber music performances with James Dunham, Yehuda Hanani, Ross Harbough and Awadagin Pratt, and as a soloist with the Yerevan Chamber Orchestra and the Camerata San Marco (NY). Ms. Janpoladyan has served on the faculties of the University of Cincinnati, Wyoming Fine Arts Center, the Cincinnati Starling Project, the Great Wall Music Festival, Bacchannalia Festival, as well as taught masterclasses in the US, China and Chile. 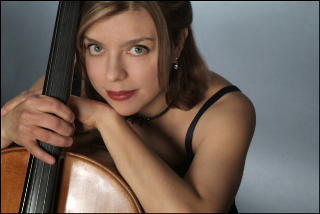 She currently resides in Pittsburgh and maintains a cello studio at Musik Innovations, and is the Assistant Principal Cellist of the Ohio Valley Symphony and a member of the West Virginia Symphony. Barbara Butler, violin, has been concertmaster of the Washington Symphony Orchestra since it was founded in 2002. In addition to the WSO, she has played with the Charlotte Philharmonic, Edgewood Symphony, Pittsburgh Savoyards, and Undercroft Opera, and is an active chamber musician. Barbara specializes in repair and restoration of stringed instruments and is an active hiker, biker, and outdoorsperson. 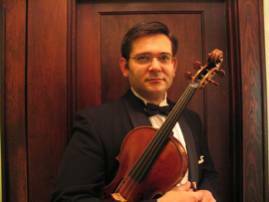 Franklin Nino is very active in the music field in Western Pennsylvania, acting as a principal cello of the Altoona Symphony and member of the Roanoke Symphony, Huntington Symphony, Johnstown Symphony, Ohio Valley Symphony, and Rivers Cities Symphony. Mr. Nino has served as the mentor for the Greater Erie Youth Symphony Orchestra and the Music Director of the Touring Orchestra at Westmoreland Suzuki School of Music, where he also taught cello. Mr. Nino holds a private studio at home and at the Johnstonbaugh’s Music Center. He is a former member of the Faure String Trio, and currently a member of the Mata String Quartet. He received an Artist Diploma degree from Duquesne University where he studied under Anne Martindale Williams, principal cellist of the Pittsburgh Symphony Orchestra. Tara Yaney is the principal piccolo player of the Johnstown Symphony Orchestra and the Westmoreland Symphony Orchestra. She has also performed with the Youngstown Symphony Orchestra, the Canton Symphony Orchestra, Quantum Theatre, the Bach Choir of Pittsburgh, the International Chamber Ensemble in Rome, Italy, the Ohio Light Opera Orchestra, and numerous pit orchestras in the Philadelphia, Washington, DC, Baltimore and Pittsburgh areas. She performs regularly as a soloist, and in chamber music with guitarist John Marcinizyn, and with Cincopation, a Pittsburgh based woodwind quintet. 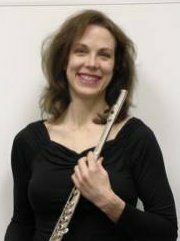 She teaches the flute and clarinet at the Pittsburgh Music Academy and Musik Innovations School of Music. Younga Reitz began her musical training at an early age with piano, violin, then on to cello. After graduating from Sunhwa Performing Arts School in Seoul, Korea, she went onto earning a Bachelor’s degree, Master’s degree and an Artist’s Diploma from Duquesne University Mary Pappert School of Music. Mrs. Reitz is currently the music director of the Pittsburgh Youth Chamber Orchestra Jr. Strings. She is also the cello coach for Pittsburgh Youth Philharmonic Orchestra and the string coach for Pittsburgh Youth Chamber Orchestra. Mrs. Reitz holds a large private studio teaching cello, violin, viola and chamber music. 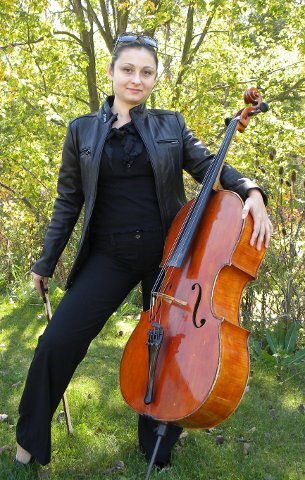 She has served as the principal cello at the Pittsburgh Philharmonic Orchestra, an adjunct teacher at the Pittsburgh School for the Creative and Performing Arts (CAPA), String Supplement Teacher at Quaker Valley high school, Center for Musically Talented at CAPA. She has been on the faculty at the City Music Center and Jewish Community Center, and has taught orchestral studies, chamber music, and private lessons in Westminster College, Geneva College, Seton Hill College, Waldorf School of Pittsburgh, Pittsburgh Chamber Music Festival, Musik Innovations Chamber Music Camp, Pine Richland School District Summer Strings Camp, and Carnegie Mellon Pre-College Programs. She has played in the orchestras including Wheeling Symphony, Erie Philharmonic, Altoona Symphony, Johnstown Symphony and Butler Symphony.